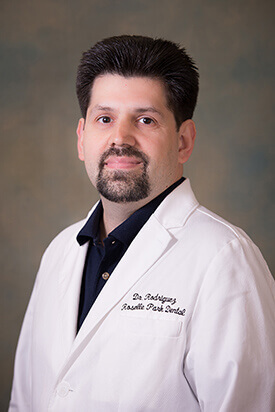 Dr. Ernest Rodriguez is a graduate of New Jersey Dental School in 1998 with a degree of Doctor of Medical Dentistry. He then completed a two-year residency in general dentistry at VA Medical Center. His undergraduate research was published in the Journal of Endodontics. He is trained in the use of both hard and soft tissue lasers and is an Invisalign® certified provider.